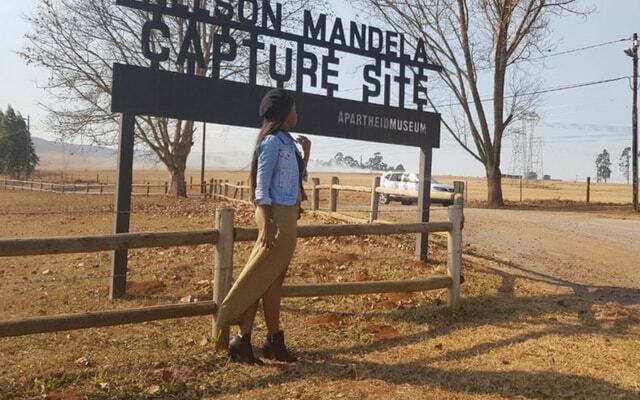 Jade Hubner Visits Howick With Thuso Mbedu & Zama Mnguni. Sometimes we all need to escape from the fast pace of the city. Jade Hubner, actress Thuso Mbedu & lifestyle blogger Zama Mnguni do exactly that this Saturday when they journey to the beautiful countryside of Howick in Durban. Putting their star power together, this trio embarks on an adventure in a small, relatively unknown town. 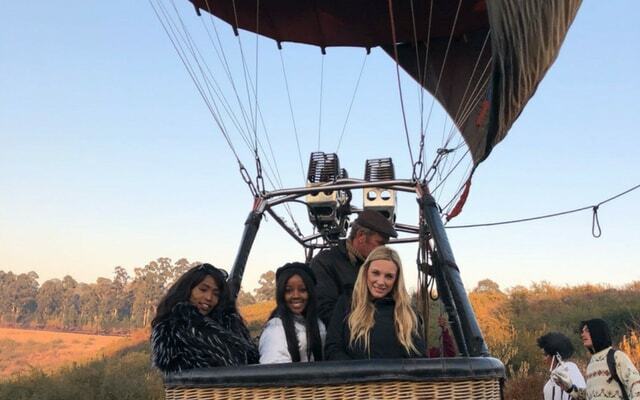 To get a birds-eye view the ladies take to the sky in hot air balloon with pilot Marc Nuthall who runs Hot Air Ballooning SA. The trio lands in the untouched midlands and takes a stroll through the beauty of the wilderness. Next stop for the weary trio: the stunning Pleasant Places Guesthouse. Hosted by the amiable Phillipa Courtney, our adventurers settle down for sundowners. 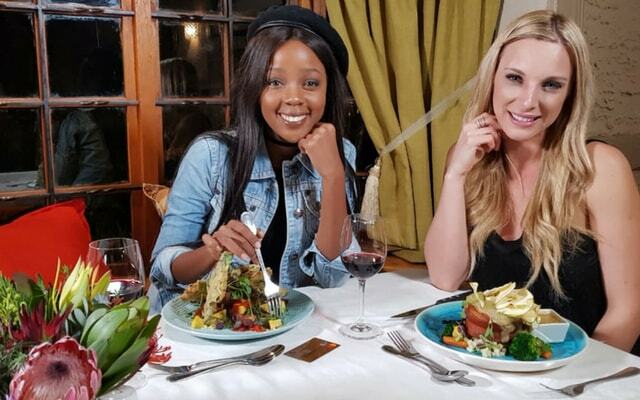 With the luxury guesthouse as basecamp, Thuso & Jade set off to explore the Capitec Live Better deals they can find in Howick, starting with dinner at the Fern Hill Hotel’s famous restaurant The Snooty Fox. The Midlands is at the centre of the farming & fishing country and this is where hotel owner Stef Szecsi draws inspiration from for her family hotel’s menu. Jade & Thuso are treated to dinner which is prepared by Executive Chef Alex Poltera who is known for his green menu making the hotel a fond destination for vegans & vegetarians alike. The three settle for the evening before two of them head off on their next adventure - visiting the historical site of where Nelson Mandela was arrested. If it wasn’t for uTata Madiba being arrested here back in the 60’s South Africa would not be the free country we’ve come to know. Next up, the three Howick adventurers visit the Karkloof Canopy Tour, a zip lining adventure through the forest where our trio flies through the canopy shared by Cape Parrots & Samango Monkeys. Owner Kai Schultz is on duty to ensure that Zama’s blog has some adrenaline for her entries!